Quite and relaxed place, 5-10 minutes from a beach (by car) 10 minutes from supermarket (by car). Fridge is big enough. With air temperature around 30 degrees, it didn't feel like very hot outside in that area, however you may want to pay for Airco as with 30 degrees it was stuffy inside the apartments. There are a nice BBQ and laundry facilities. Comfy beds in quiet location. Good pool areas with plenty of loungers. Apartments fine for a weeks stay if a little dated. We booked one of the apartments for two of us, which was still reasonably priced, but it meant the room available was excellent. The balcony view was quite good if you looked out in a particular direction. We only used the pool once and it would have been fine if I had goggles- the chlorine content was too high for my sensitive eyes. Quiet peaceful location. Clean and everything we needed for a cycling break. Two balconies so room for bikes. We will be back. Nice and quiet around the accommodation in the evenings and always plenty of room around the pools. Apartments are basic but clean. Air con excellent, well worth the money in July/Aug. We liked the quiet location and the fact it was so close to the town centre and the beach. Apartment was huge, very clean - we had the most pleasant stay, thank you! we really loved the pool area and the location. the place was lovely and clean and staff where all good. One of our best sellers in Port de Pollensa! Apartamentos Leo is within 10 minutes’ walk from the beach and the town center of Port de Pollença. 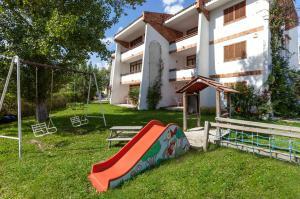 Set in gardens, it offers 2 outdoor swimming pools and a children’s playground. 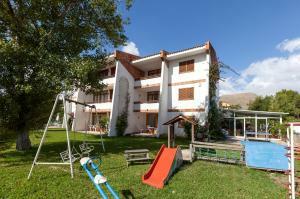 This property is located in the quiet residential area of Gotmar, 350 feet from supermarkets, bars and restaurants. 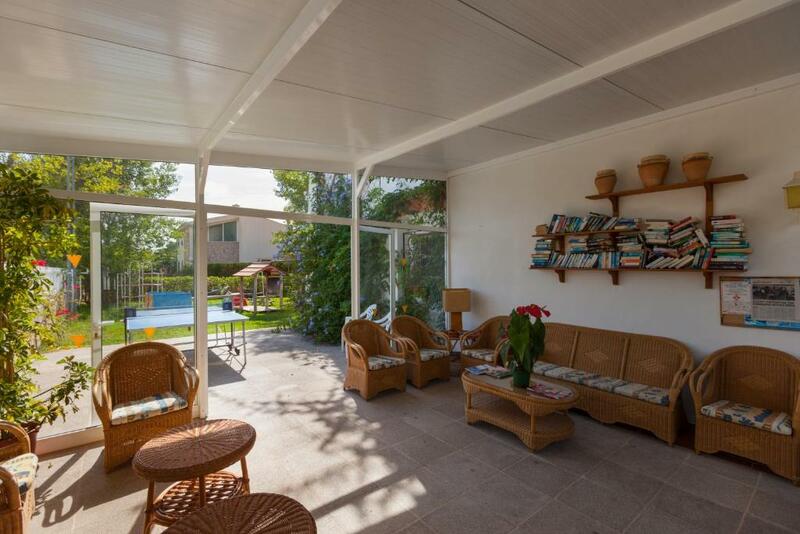 It also has children’s pool, table tennis and BBQ facilities. Each bright apartment at the Leo has free Wi-Fi and a balcony with garden and mountain views. There is a lounge with TV, a bathroom that includes hairdryer and a well-equipped kitchen. Guests can use the washing machine provided for free; and air conditioning is available at apartments at an extra cost on prior request. Tourist information can be provided at the reception. Alcúdia and Pollença are within 15 minutes’ drive away. Palma and the airport are approximately 39 mi away. 뀐 Located in the top-rated area in Port de Pollensa, this property has an excellent location score of 8.0! When would you like to stay at Apartamentos Leo? This apartment has a kitchenware, balcony and tile/marble floor. House Rules Apartamentos Leo takes special requests – add in the next step! Apartamentos Leo accepts these cards and reserves the right to temporarily hold an amount prior to arrival. Please note that air conditioning is available upon request at an extra cost of EUR 12 per day. Disappointing that air conditioning is not included as standard and subject to extra charges. Curtain pole in one of the bedrooms fell down after a couple of days. We reported to reception but this was not fixed before we left. We didn't sit out as much as we would have liked due to mosquitoes. Quiet location. No noisy entertainment. Sun beds always available. Pools never too crowded. Kitchen well equipped nice to have a full size cooker and large fridge freezer. Just the right distance from the beach and port. Very relaxing. There were lots of mosquitoes, but probably they were around the whole area. Unfortunately I got the dates confused p, it would have been very helpful, to say the least, if the Lady on reception had asked why I was checking out a day early! So I lost money because I checked out on the 19th instead of the 20th, I couldn't get an answer when I realised my mistake and phoned from the airport, so of course, it cost me more money to stay in Palmer. There was a slight smell in the bathroom not of drains but maybe the cleaning products they used - also the shower could have been warmer at times. It would be helpful to have a map or info in the reception area for new arrivals to find their way around in case office is closed. Would also be helpful to know it takes approximately 30 minutes to walk to town centre. Great apartment and lovely pool. We had good size lounge and terrace with table and chairs. Attractive gardens. Shop and restaurant nearby. Bus stops nearby. Easy walk to beach and town. Helpful staff. Well organised. Lovely shared conservatory area. It’s not my favourite place to stay as usually go to Llenaire , but still an easy walk to the beach !! The beds looked to be hand built and were creaky and uncomfortable. Air conditioning was grossly expensive considering it is one of the only good things about the property. Bathroom was dirty and tiny for a 2 bedroom apartment for 4 adults. Towels smelled clean but were all stained. Followed booking.com instructions to call the host before arrival - no answer, arrived and walked around for ages before discovering a small piece of paper with our apartment number. Found the apartment after check-in time and was still being cleaned - had to wait over an hour for it to be available. Receptionist appeared patronising when we paid our additional taxes and air conditioning fee. Giving the air conditioning for free would be the only way to compensate for everything else wrong. Maybe a bit better equipped kitchen as everything was pretty basic and not really enough to cook a meal ( knife sharpener to start with). we would of liked a bigger balcony as ours was quite small for 5 people. the doors need some attention and the beds are so squeaky maybe just need tightening up . kitchen area very basic but adequate. overall we would stay again but choose a different apartment. a suggestion is that they hire bikes from the apartments. Could do with some additional sockets in the kitchen area as only 1 available. Nice size apartment. Pleasant surroundings. 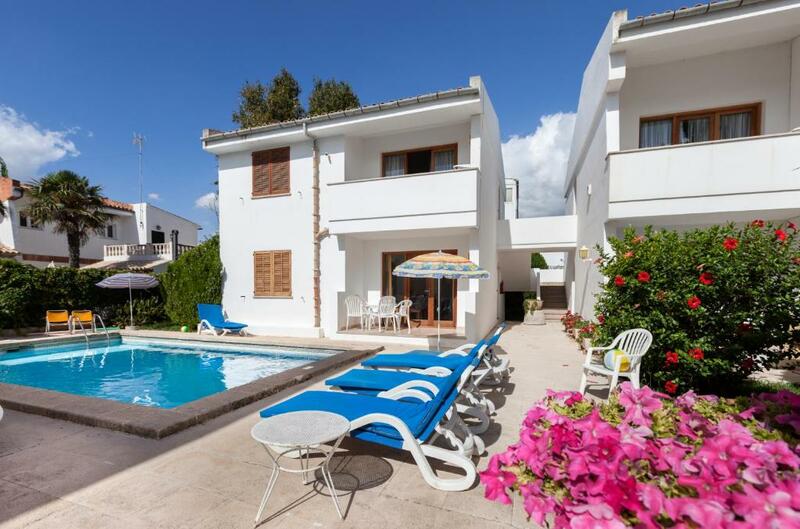 Convenient location only 10 - 15 minutes walk to the sea front or large supermarket.